I made two rounds of lemon cake using a quick, easy box mix. 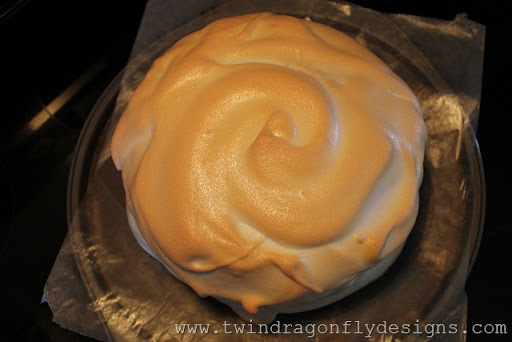 Then I layered the cakes with lemon spread and coated the cake with meringue. 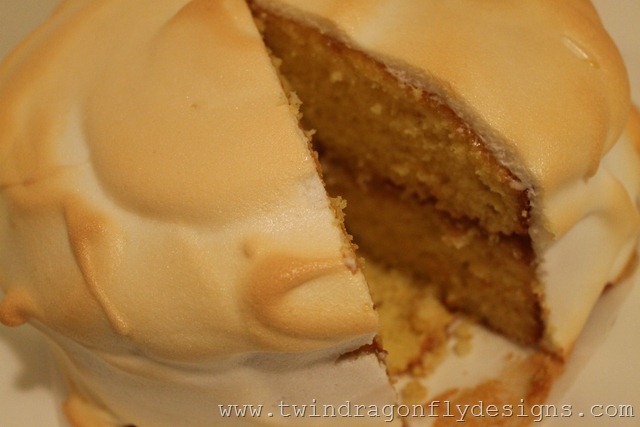 The meringue was just the perfect finishing touch for this cake. Beat the egg whites in a bowl until they form stiff peaks. 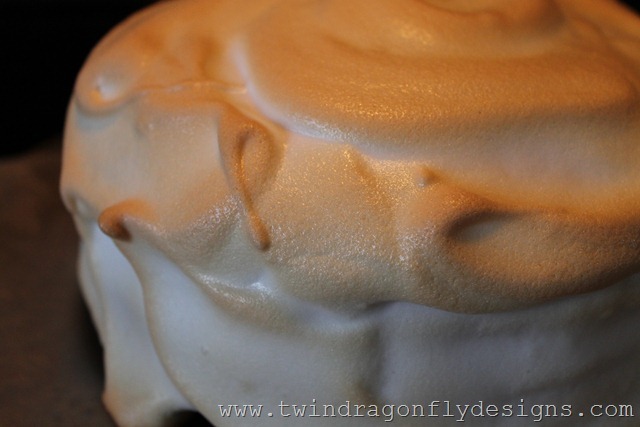 Gradually add the sugar and continue to beat until the mixture forms a fluffy white meringue. Spread the meringue all over the cake like frosting. 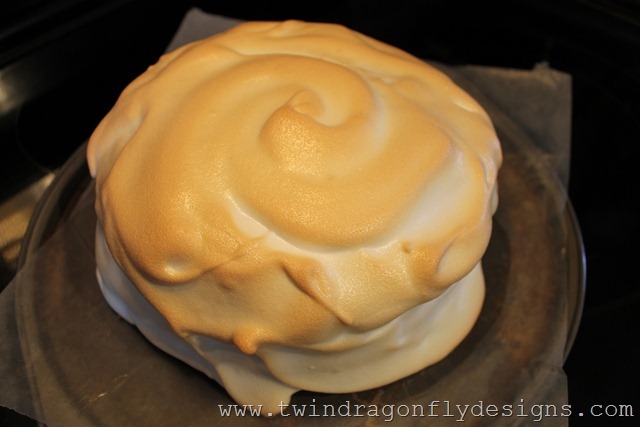 Place the cake into the oven at 350° for about 10 minutes, until the meringue is lightly browned. Refrigerate overnight and serve cold. 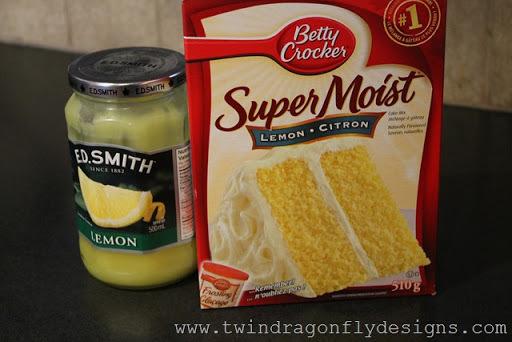 This is my favorite kind of baking ~ easy peasy and using what is on hand. I am so not a fan of having to run to the grocers at 10 pm. 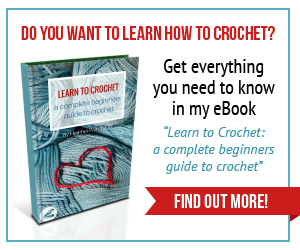 Some of the best recipes come from improvising with what is in the cupboards.